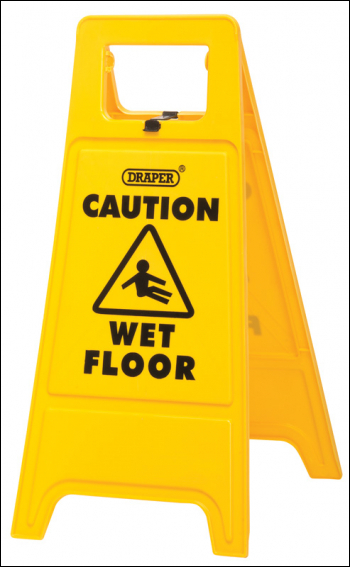 Essential for all public areas where floor cleaning takes place. 'A' frame construction with warning on both sides. Fitted with an 'A' frame hook for added stability. Display packed.